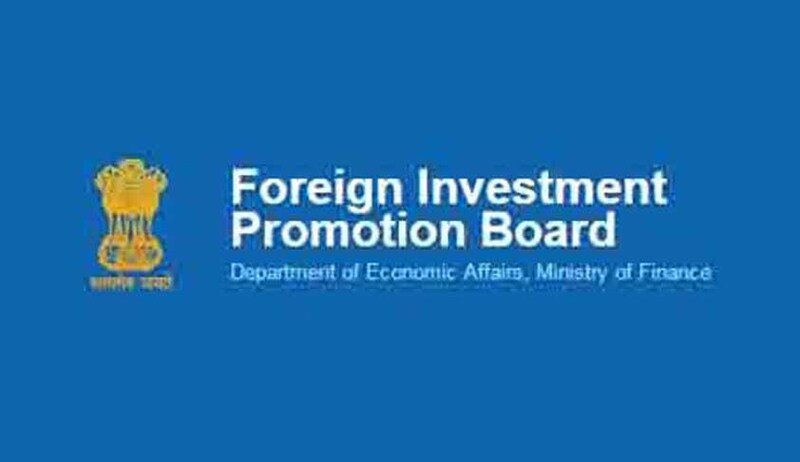 Finance Minister’s 2017 key budget proposals include a recommendation for scrapping the single window clearance body called Foreign Investment Promotion Board (FIPB). The underlying logic being that 90% of foreign direct investment (FDI) is under automatic route, the remaining 10% cases which are subject matter of approval should be decided by the respective ministries instead of routing them through FIPB. Before we delve into the Government’s decision to scrap FIPB, it would be pertinent to briefly recount FIPB’s inception and evolution over the years. FIPB’s birth dates to early 90s when the Prime Minister’s office decided to set up this inter-ministerial body as a part of the economic liberalization. Thereafter, it was brought under the fold of the Department of Industrial Policy and Promotion (DIPP) in 1996 and subsequently entrusted to Department of Economic Affairs, Ministry of Finance in 2003. FIPB conceptually was supposed to be - as the name suggests - a "promotion" board. But as things panned out, it morphed into an "approving" authority or at best a ‘nodal’ agency for FDI. There were no credible and focused promotional activities whatsoever. FIPB however did its bit to cut the bureaucratic red tape and to bring some transparency in the “approval” process- such as introduction of e-filing in place of voluminous paper filing; creation of a dedicated website for status update on applications. The website also collated key notifications and information. The proposed dismantling of FIPB is driven by the idea that we do not need a single window “approving” authority anymore as 90 % or more of FDI is on automatic route. That proceeds on the assumption that FIPB is an approving authority and we do not need one. This proposal may require some serious reconsideration, given the fact that FIPB has been astutely ‘one window welcome for foreign investment and large projects’ – a tangible testimony to India’s commitment to ease of doing business and to attract FDI . On the other hand, the dismantling of FIPB is more than likely to be perceived by the external world as a subtle message that we do not need FDI but FDI needs us. Therefore, instead of dismantling the FIPB, it could certainly reincarnate into a new ‘avatar’ as a truly promotional body in support the ambitious ‘Make in India’ campaign. Given the huge competition to attract FDI world-wide it would be good to have a body dedicated to "promoting" FDI in India. We do need foreign capital for funding long term capital – particularly in the build-up of infrastructure – both hard and social. We can't be oblivious to that and we should not be complacent. Add to that, even in those 10% cases which are subject matter of approval, it makes sense to have one authority / the FIPB - to ensure consistency of approach; dedicated staff to respond to needs and queries of foreign investors; uniform processes; and for statistical and administrative purposes. Most of all, a dedicated authority championed by a senior ranking officer of the Central Government would send a signal to the outside world of our seriousness in welcoming FDI. FIPB’s scope in its reincarnate form may be extended to matters beyond FDI, to include decision making powers on other key approvals and permissions for mega FDI projects, and also it could effectively bring various Indian States under one window clearances for issues that are currently unregulated or for FDI projects that typically get stuck in red tape. FIPB can be effectively used to fruitfully engage with the states where the current approval and regulatory processes leave much to be desired. The utility and significance of a single window clearance cannot be undermined. Why not use this single window for other matters which in turn would significantly reduce bureaucratic delays, regulatory time lags and turnaround times that in turn would uplift India’s world ranking in terms of ease of doing business. If the government shifts the 10% cases which are subject matter of approval process to respective ministries or explores an alternative mechanism, creating such a new mechanism at this juncture may not be investor friendly in terms exposing foreign investors to a new process and timeline rather than following the established approval process underscored by the well-established credibility and brand of FIPB. FIPB’s ‘one window’ policy was undoubtedly a monumental step to ease foreign investment into India. Thanks to the crucial reforms it has undergone over time, the FIPB window has opened many an engaging doorway of trust for foreign companies keen to invest in the India story. Now that we have institutionalized a single window clearance based on an ‘open door policy, let’s have the FIPB work towards making the window more welcoming in scope to reap rich dividends, let’s not shut it down just because 90% or more of FDI is on the automatic route. Nitin Potdar is a Partner, J. Sagar Associates.